Citadines Sukhumvit 11 Bangkok is perfect for travellers looking for a place that are near to most tourist attractions and also provides for a range of entertainment and dining options. What makes this hotel in the hip Sukhumvit area even better is its in-house bar and restaurant – Mulligan’s Irish Bar & Restaurant Bangkok. 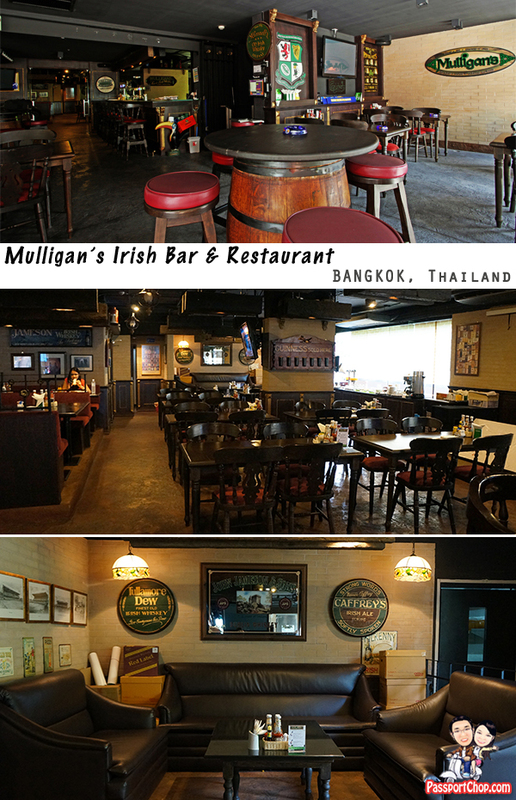 Mulligan’s Irish Bar & Restaurant Bangkok is the third branch of the one that first emerged in River Valley, Singapore, then arrived in Pattaya, a few years ago. It’s conveniently located on the lobby floor of the Citadines Sukhumvit 11 Bangkok, one of Bangkok’s most colourful districts. Here, you can enjoy a wide selection of distinctive beers and drinks, fine dining, great music, a varied crowd, and a cool atmosphere. Mulligan’s is a new spot for friends gathering or those sports fans looking to catch a match in a more contemporary setting. There are 2 parts to Mulligan’s – the Irish Bar (where smoking is allowed) and Restaurant (non-smoking area). In the evenings, there is usually quite a crowd at the Mulligan’s Irish Bar and the crowd will even spill over to the Sports Bar at level 2. If you would like to make new friends in Bangkok who are into soccer/rugby (or whatever sport is on that night) matches and beer, Mulligan’s Irish Bar is the place to go. The Bar is a stopover for most who are planning a night’s out at the various clubs in the Sukhumvit area e.g. Supperclub. The Mulligan’s Restaurant is quieter and you can also catch some ESPN sports action from the TV at the bartop. 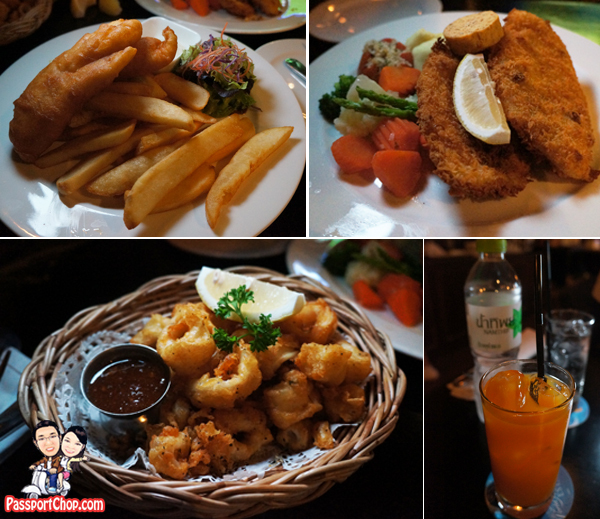 Personally, I recommend the Mulligan’s Fish & Chips – Beer Battered Dory Fillet, Fat Chips and Salad (340 Baht) or the Baked Pacific Dory – Dory Fish Baked to Perfection and Infused with Garlic Butter, Served with Seasonal Vegetables, Cherry Tomatoes and Wasabi Mash (340 Baht). The servings are generous, the prices are reasonable (about S$14) and they taste great – one of the better fish & chips I have tasted in Bangkok :-). For sides, I recommend the Salt & Pepper Calamari – Calamari deep fried in a light batter with flaked sea salt, tossed in a lemon pepper seasoning and served with a coriander chili sauce (200 Baht). I don’t usually rave about hotel breakfasts but I have to say the breakfast prepared by Mulligan’s Irish Pub and Restaurant is just very awesome and yummy. If you are staying at least 2 nights at Citadines Sukhumvit 11 Bangkok, I strongly recommend you try both the Asian and the Western option Build Your Own Breakfast menu. The Asian option is simple – just choose Phad Thai or Fried Rice with Chicken or Pork or Prawn – trust me – any combination is good! The Western option is slightly more complicated with its selection of eggs, sausages, bacon and bread but it is all about the eggs – Scrambled style or Omelette style – both are just super yummy and tasty. 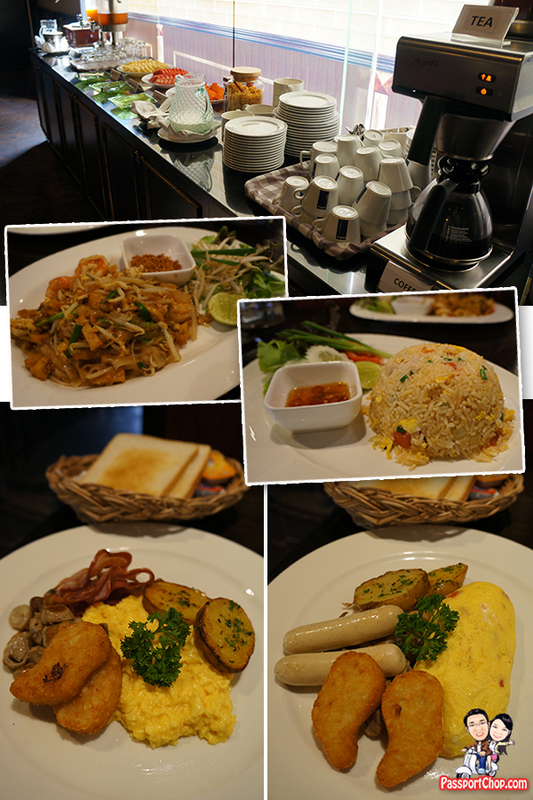 Even if you are not staying at Citadines Sukhumvit 11 Bangkok but happen to be in the area, just walk in for its breakfast (before 11am) and you won’t regret it – we didn’t! There is also a buffet counter with just cornflakes and fruits and milk and fruit juices as well as tea – feel free to help yourselves to those too. Ascott has developed an Around our Residences Facebook app that provides travellers with local insights to help them navigate the city during their stay at any of Ascott’s serviced residences. The application is a mash-up of Facebook and Google Maps, enabling users to share useful tips and get an inside peek to some of the unique finds one can discover within the vicinity of an Ascott serviced residence. There are recommendations from Residence Managers at Ascott, Citadines and Somerset properties and other Facebook fans on topics such as which supermarket to find the freshest produce or the nearest local bank. Travellers can tap into app to discover interesting local haunts, the coolest shops or the hippest bars. It is thanks to some of the recommendations in the app that I realised the Bed Supper Club and the Manchester United pub is just less than 5 minutes walk away from Citadines Sukhumvit 11 Bangkok! Another resource you can check out for the hottest bites, bars, events and celebrity scoop near the Ascott serviced residence of your choice is the Ascott Living website, specifically the Ascott Living Inside Track which provides a quick travel guide to Bangkok. By Taxi: 50 minutes drive and costs around 400 Baht. This place looks so clean and hygienic. I am impressed with food presentation. Bangkok is famous for it’s food and culture. People come Thailand to enjoy their holidays and these type of bar and restaurants are good option to chill. Thanks for writing.